Hestered Away on an ASB... Erm... Paddow? OK. I will be the first to admit that the pun in the title of this post is flatter than one of Andrew Stephen Buck's mats, but I have some early feedback of my own on my scaled up version of ASB's favourite G-Mats. Namely, the valve position. This valve has been tucked away under the edgelape at the nose to give a clear deck so as to reduce the likelihood of unwelcome union during duck dives and wipeouts. This positioning wasn't my idea. My first go at this was on a mat for the living legend that is Henry Hester on his mat "Stinkles", so I call this "Hestering" the valve away. I don't know if Henry is keen. My initial concerns were that the valve would catch but, as you can see from the shots, the valve is clear of the water at full inflation and the nose of the mat is always fully inflated. 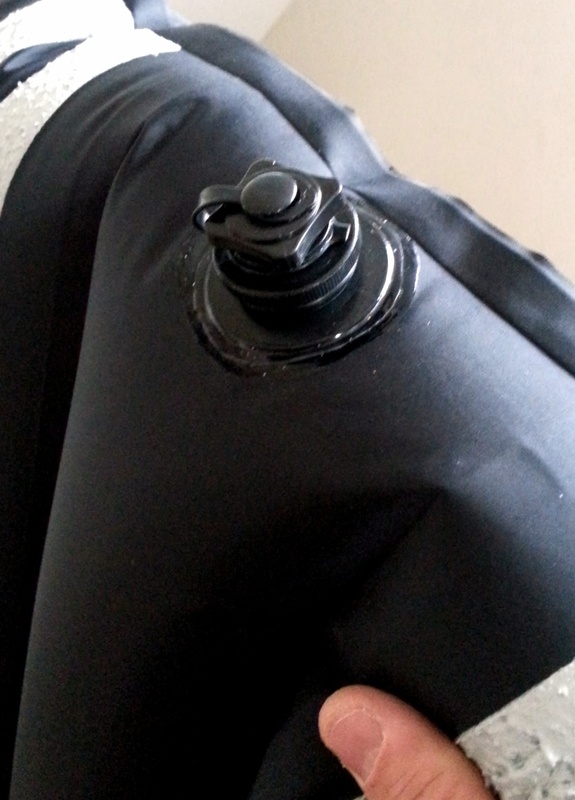 It's easy enough to get at the valve to reduce air by twisting the valve and the air pressure during deflation seems to prevent water from getting into the mat. All in all, I think it works pretty well. Henry has given positive feedback as has Ian Wraith regarding his mat "Badger of Honour". I think my personal preference is still to have the valve on the deck but this is certainly a valid option for those who are into it. Ian Wraith's "Badger of Honour"
Back to the ASB mat, I've ridden it once in very nice walled up glassy reef surf and she went really well. I need more sessions but am confident that it's a good design. To be honest, if I thought it was bad then I would be questioning my riding rather than the design as ASB is a far more able mat surfer than me. I'm always on the lookout for new materials and after a good deal of pondering, decided to give a Boston Valve a go. This performed well in some pretty heavy surf today, including being bearhugged on a trip to the bottom, rolling under a very heavy wedge which I took on the head. The advantages are two-fold: firstly, they look pretty good. 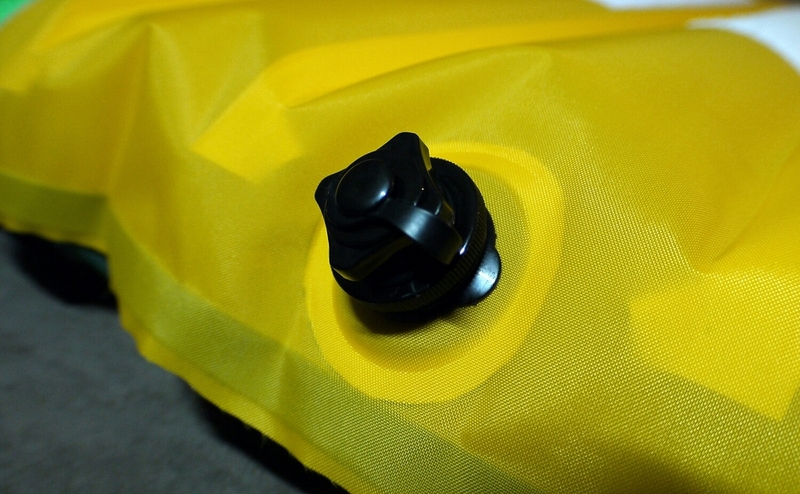 Secondly, the valve has two parts, a small cap for inflation and deflation on the go, and a larger thread allowing the whole valve to be removed from the mat for rapid deflation. I particularly like the fact that it is a screw-cap design. No need to be tugging away on the mat.